Today I was craving for Indian cucumber. I used to have it weekly once when I was in India. It one of my favorite vegetable, it is called dosakaya In our language. It tastes like kheera but it is little sour. I love having this pickle with hot white rice and mudda pappu. Since I cannot get Indian cucumber over here I made an experiment with kheera, it is a grand success. My hubby loved it too. Mix all the ingredients together including cucumber. Now prepare tempering. Heat oil on a pan and add mustard seeds and allow them to splatter then add cumin seeds and with until they splatter. Now add red chili and garlic cloves. Wait until they turn golden brown. 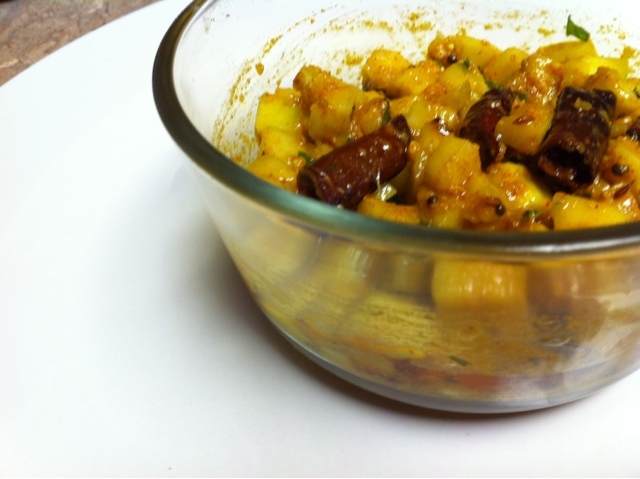 Turn off the stove and add curry leafs(optional) and mix well. Allow this tempering(talimpu) to cool down to room temperature and mix with the cucumber mixture. Add 2 tbsp of lemon juice and mix well. You can serve this pickle after an hour. Hope you like my recipe. its a new recipe for me, luv it. looks so tempting. wow, that looks superb and so easy !!! 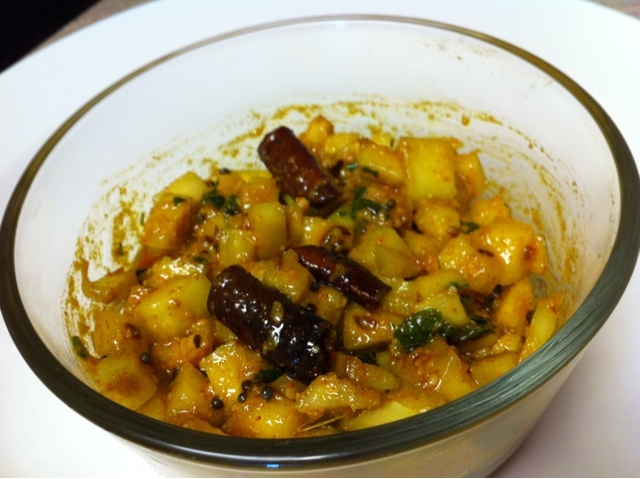 keera pickle i made.but these two combination still i am not preapare.but this recipe is looks so nice.i will try this as early as possible.looking so spicy.